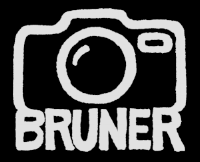 Brian Bruner is a travel and concert photographer based in Jasper, Indiana. His passion for music, travel, and culture has not only carried him across the country, but has taken him around the world. His photographs have been published in a wide variety of media ranging from books, television, and award show programs, as well at being seen on Good Morning America, CNN, Farm Aid, and Goodyear advertisements.